In order to understand what is going on in today’s world, it is helpful to know something about Islamic history. An oversimplified but useful first step in understanding it is to think of it as comprising three periods, the last of which is taking place now. The Islamic era began with the migration of Muhammed and his small group of followers from Mecca to Yathrib, later called Medina, in June of 622 CE. Over the remaining 10 years of his life, Muhammed was able to gain control over most of the Arabian Peninsula. Muhammed’s successors, first the Rashidun Caliphate (632-661) and then the Umayyad Caliphate (661-750) further expanded Islamic rule until it stretched from parts of what are now Russia and Pakistan through the Middle East across northern Africa to Spain. The colors on the map, from darkest to lightest represent three successive stages of expansion. It grew to be the largest empire the world had seen until then and is the 5th largest in the history of the world. It occupied 5.17 million square miles. 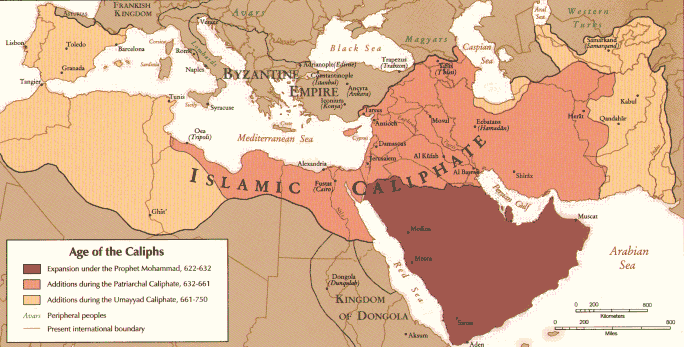 In 750 the Umayyad Caliphate was overthrown and the Abbasid Caliphate came to power (750-1258). This period is often referred to as the “Golden Age of Islam.” The capital of the empire was moved from Damascus to Baghdad. A thirst for knowledge grew and it was sought from all quarters. Greek philosophy and learning were discovered and many of their works were translated into Arabic. 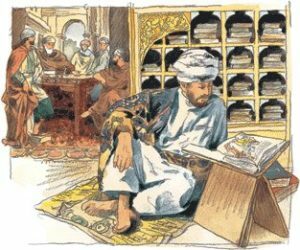 There were great advances in mathematics (algebra, the idea of algorithms, geometry, Indo Arabic numbers), science (astronomy), philosophy, art and architecture. Some of the most beautiful buildings in the world were built during this time. There was remarkable individual freedom, including religious freedom. This all came to an abrupt end in 1258 with the sack of Baghdad by the Mongols under Hulagu Khan, grandson of Genghis Khan. This, combined with the Black Death pandemic of the 14th century, began a period of general decline of the caliphate. Eventually, only Turkey was left and was eventually declared a secular state in 1924. There are several things important about this era. For one thing it has embedded the idea of a theocratic empire into many Islamic hearts. Today’s radical Islamists seek to return to the glory of those days. On the other hand, the last caliphate of this period represented a period of a kind of “open Islam” which was very interested in learning, which elevated reason and science, and which reached out to the rest of the world in search of knowledge. This means that such an outlook is not foreign to Islam and could emerge again. The decline of the Muslim empire required Muslims to adopt an entirely new outlook, including a different interpretation of the Quran. The Sufi sect within Islam supplied this, emphasizing a highly mystical interpretation of Islam. 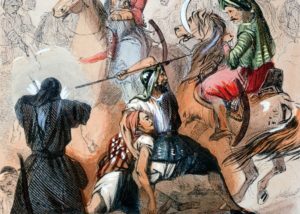 They reinterpreted jihad as an inner struggle against impurity and sin. 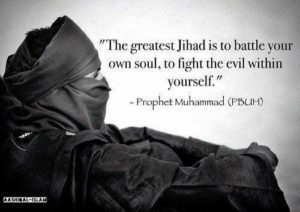 External jihad, i.e., military conquest, became secondary and optional. Although not many Muslims actually converted to the Sufi sect, its influence had a great effect on Muslims throughout the world. As with the previous period, this period left both good and bad legacies. On one hand, it demonstrated that Islamic society can be peaceable while not forsaking the Quran. It should encourage us to realize that Islam is not inherently warlike. Everything depends on how its adherents interpret their holy book. On the other hand, this period gave birth to a more rigid interpretation of the Quran, which has had unfortunate consequences. The Golden Period’s thirst for learning from other cultures, its ability to exist with greater personal freedom, and its emphasis on reason were all largely lost—to this day. But at least it was a relatively peaceful period which gives hope that a peaceful version of Islam can again be regained. Though Wahhabism began as a small sect of Islam during the eighteenth century, it exerts a powerful influence in the Islamic world today. It is closely related to another Sunni sect, Salafism, which arose in late 19th century Egypt. Although adherents of each claim there are definite differences, to outsiders they are hard to distinguish. Wahhabism was a return to the militant version of Islam of the first stage although without the openness to the rest of the world as in the Abbasid Caliphate. Muhammad ibn Abd Al Wahhab was an 18th century revivalist preacher in a remote region of Saudi Arabia who advocated a return to a more “pure” form of Islam than he saw around him. In a strategic move in 1744 his movement allied itself with the Saud family and their combined strength eventually enabled them to gain control of much of the Arabian Peninsula. Thus the kingdom of Saudi Arabia was proclaimed in 1932 with Wahhabism as its official religion. Wahhabism’s prominence grew significantly because of the discovery of oil in Saudi Arabia. The incredible wealth that this brought to this kingdom was widely seen Allah’s blessing on both the country and its religion. In the absence of military might, this wealth gave the means to expand influence in a next best way: terrorism. Saudi Arabia has been the breeding ground for many of today’s terrorist leaders, including Osama Bin Laden and most of the terrorists behind the 9/11 attack on the USA. The kingdom lives in a kind of contradiction. Saudis welcome the huge purchases of its oil by the West, but at the same time, some of its oligarchy uses their profits to finance terrorism. Thus the Saud family has to engage in a delicate balancing act with us and we with them as well. 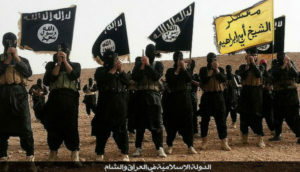 What is fueling the terrorist activities, both in Israel as well as toward its Western allies, is a series of unsettled grievances and what the Islamic world sees as incursions into its territories. This goes back to the West’s encouragement as early as 1800 of Jews to return to Palestine Then at the end of World War I the Allies broke their promise to give the Arabs freedom and instead established protectorates over much of their territory. The ultimate provocation came when the Allies broke their promises to the Arabs to involve them in negotiations about carving out the Jewish state of Israel from Palestinian territory in 1948, a move pushed hard by US President Truman. Since then there have been our more recent invasions and occupations. We may think that these were all justifiable, but we will not understand the Islamic world if we don’t understand that they consider them to be huge humiliations and injustices, wrought on them without their consent. We may decry their terrorism, but since they are much weaker than we and Israel are, they see terrorism as the only way they have to assert power and seek what they consider justice. Israel’s intransigence about seeking a two-state solution and the provocations caused by Jewish settlements in occupied territories are a constant irritant and make peaceful resolution of these grievances very difficult. This is not to justify bad behavior on the Muslim side as well. However, whether we like their perspectives or not, we need to be aware of their grievances. In other papers I will explore the rise of ISIS, today’s most dangerous radical Islamist sect. I will give some perspectives and possible strategies to defeat them that might be more effective than our present ones. Although the two words, Islamic and Islamist, seem very similar, their meanings are quite different. “Islamic” refers to those countries or people who are Muslim and thus embrace the religion of Islam. An Islamist, on the other hand, is someone who is actively promoting not only the Muslim religion but also the imposition of a strict interpretation of Sharia law on whole communities or countries.